Recently I went to La Lupita, which is a Mexican restaurant in Bethlehem. I’ve only been a few times, and the first time I ever went I had just about the best quesadilla of my life – they put cheese on the outside of it. Every time I’ve gone there since though, the food has been subpar (even the quesadilla. I guess that amazing one was just a one time thing). I personally wouldn’t ever choose to go there, but I was with some friends who wanted Mexican food so we decided to go to La Lupita because it was convenient. I was looking through the menu and decided that I wanted to try something I’ve never had before. 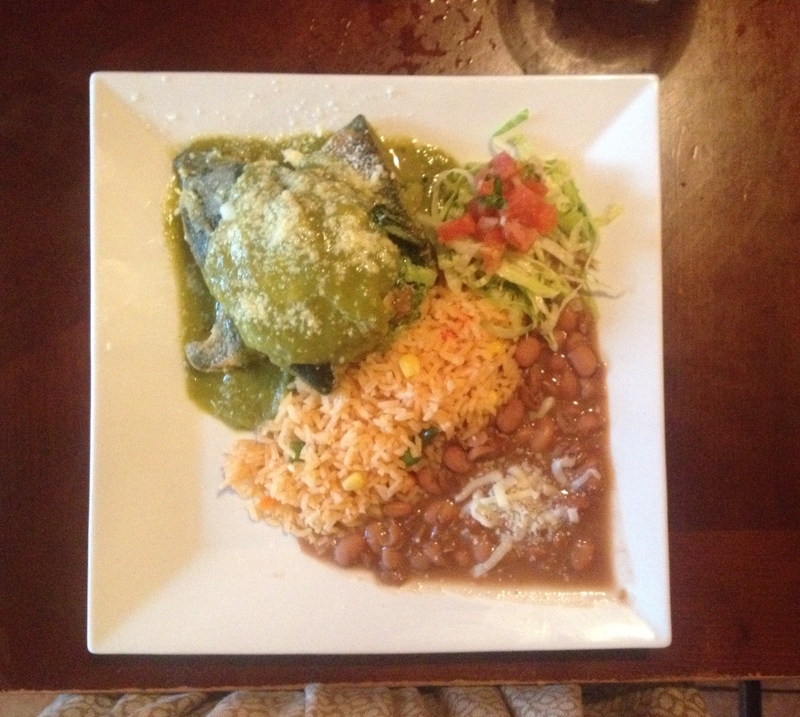 I ended up getting the Chile Relleno, which is a poblano pepper filled with your choice of meat and/or vegetables and has some special sauce over it. I had never heard a poblano pepper before, but the waitress said it is good and spicy, so I figured that would be perfect for me. I ordered mine with chicken, vegetables, and only a little bit of cheese. When I ordered it, I pictured it would be more like a stuffed bell pepper with rice, meat, corn, onions, cheese, and something like tomato sauce on it.Unfortunately, that wasn’t what I got. The pepper was spicy so I really enjoyed that, but I didn’t like the vegetables that were put in it. There was broccoli in it, which I thought was a weird thing to put inside of a pepper, and there weren’t many other vegetables in it. Also, the rice was on the side, and I thought it would have been much better in the pepper itself. The rice wasn’t even that good too, and Mexican restaurants should have good rice. I didn’t eat the beans because I don’t like refined beans so I can’t attest to how those were. It wasn’t a bad meal, but it was a disappointing one. It made me remember why I never choose to go there.